Gymnastics is a fun sport which develops physical skill, strength, balance, flexibility, and self-confidence in an individual. Lots of children try to mimic gymnastic skills that they have seen others doing. It’s our job to make sure they are given the proper instruction and training to keep them safe. It’s truly amazing for us to watch their progress in class. to keep all of our children healthy and happy as they grow and mature. student to be competitive with others while safely working at their own individual skill level. During each class we also have a group activity, game, race or competition, sometimes involving music. 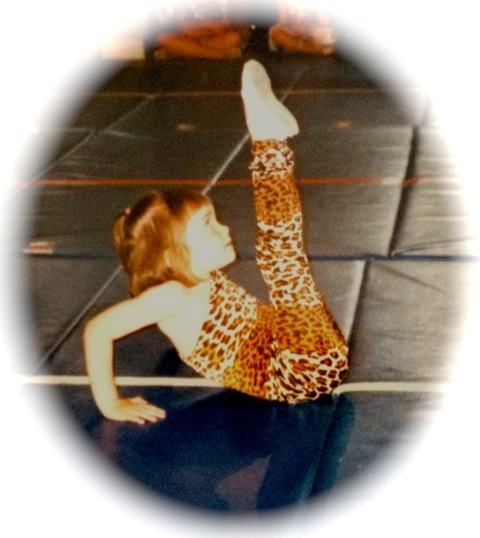 Each gymnastic class will learn a complete floor routine for presentation in our annual recital. We cover the stage floor with an interlocking mat system to ensure safety and comfort. “COMPANY B GYMNASTICS” - In 2017 we established a gymnastics version of our Dance Company. The girls did an amazing job in class. We can hardly wait to see what they accomplish this year! The girls are hand picked by our staff for this very special group. All team members have to have a consistent back walkover. They have to be hard workers and be willing to accept and apply corrections. The class will be an hour of tumbling. Non-dance company members also have to take a 1/2 hour class focusing on technique, flexibility and strength.